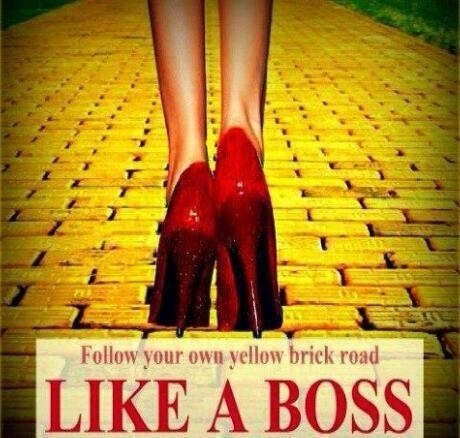 Following the yellow brick road sounds easy enough. Who has not, at some point in their life, watched The Wizard of Oz and Dorothy’s journey down that magical road to the Great Wizard as she searches for a way home? She angers a witch, meets a lovable group of flawed characters, and battles flying monkeys before earning her passage home, not by the wizard, but by the good witch. What did she and her flawed companions need to do, truly do, in order to get what they were seeking? They only had to believe in themselves. What a simple concept that is, right? Wrong, or at least in some areas, for me. How many dreams have I let fall from my heart because I lacked the power to follow them? Too many to count… From dancing to writing, and various other “pipe dreams” in between, always being plagued by those “flying monkeys” in my head, or worse, the witch telling me I’ll never succeed, so why put myself out there, just to fail. Those voices can be very convincing. One thing I always tell my students when they approach me with problems, or fears, or whatever is cluttering their minds is that I believe in them, absolutely. I believe in them enough for the two of us, but if they could just believe in themselves a fraction of how I do, then that is all they need. No, we know that does not guarantee success on an exam or whatever, but hearing the words “I believe in you. I know you can do this. Don’t give up on yourself.” can make a difference between trying and quitting. Yep, I could go on and on about this self imposed trek of mine in search of a physically and mentally healthier me because it is a type of yellow brick road, full of distractions like birthdays, holidays, reunions, start of a new school year, get togethers with friends, and family, to name a few. Here is the epiphany I had while considering this topic: yes, I am walking down that brick road, but while I am doing that, I am also writing. I know the writing is not the greatest, but I can look back at the end of this experience and say that I accomplished at least two goals /dreams I had by believing in myself enough this time to finally do it. My question to you is this: whatever goal your road is taking you to, do you believe in yourself enough to at least try? There is the risk of failure (I have failed at weight loss for 15 years! I may only have 15 people look at my blog. ), but in the same breath, there is the risk of success. But you have to have the strength, the belief in yourself, to take that first step. Think about what you want to do. Set up a map, a game plan. Set your long term goal, and short term ones to celebrate as you make them. Keep a journal, recording your thoughts, your successes and your setbacks. Take pictures (if appropriate). Tell someone!! No more hiding behind those “Oh, no you can’t or shouldn’t” voices in your head. Take a deep breath, and believe. You are walking the talk. I Am proud of you! Each day completed is one more day that you are actively doing! No ifs, or wishes, but satisfaction in accomplishing those minor goals that lead to the bigger one! Thank you! I’m trying. I step, leap, stumble and fall, sometimes all on the same day, but I’m going to continue inching forward to each small goal. Those small ones will lead me to the main, large one.